One of the most unsettling implications of using the Internet is the fact that there are services that constantly monitor your browsing behaviour and meticulously collect your data to sell on or profit off. Even though it’s difficult to avoid tracking altogether, there are a few things you can do. Have you ever browsed online for, say, a lawnmower, only to find ad suggestions for that mower you’ve always wanted a month later? Have the search suggestions become extremely specific and relevant? That’s no fluke, trust us. While interest-based advertising and predictions can sometimes be convenient, we believe that, in most cases, they are not worth the loss in privacy. But don’t lose hope. There are ways to regain control over your online privacy, at least to a degree. The best way of ensuring your private data stays private is not sharing it in the first place. The fewer services you sign up for and willingly hand over your data to, the lesser the chance of you being profiled and your privacy compromised. Since that would include ditching most of the regular apps and services we use (YouTube, Instagram, Facebook, Google, etc.) this is the nuclear option that only a few of us would take – but bear in mind, it is the safest one. Also, unlink your accounts. You create a security risk where a single point of failure could compromise all your accounts – which you really don’t want. 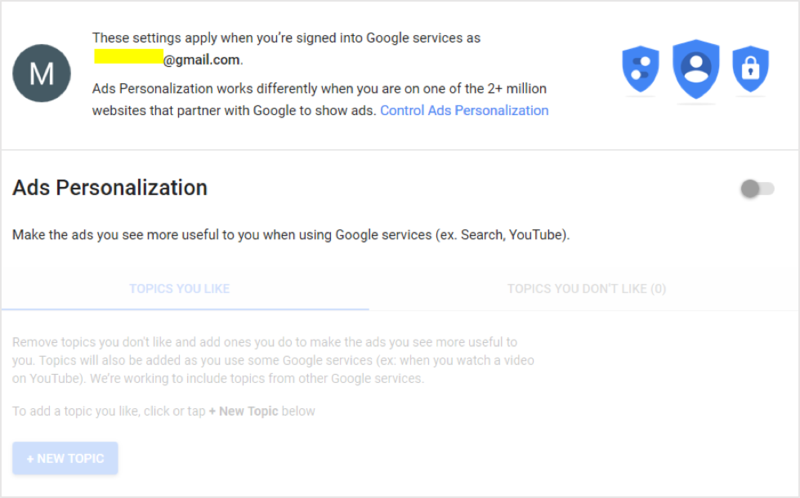 Most services have their own control panels that let you opt out of some types of interest-based marketing and prevent the services to learn more about you in order to serve more relevant ads. Note that you will still receive ads, but they will be generic and not based on your browsing and demographical information. Of course, it is upon the service providers to honour your requests to opt out, so it is up to you to determine whether you consider them trustworthy. … and so does Facebook in their ‘Settings’ page. ‘Monitor’ is kind of a misnomer, since they cannot really link your identity with your habits; however, if you’d rather keep your browsing habits to yourself, there are a few dedicated, industry-standard websites. 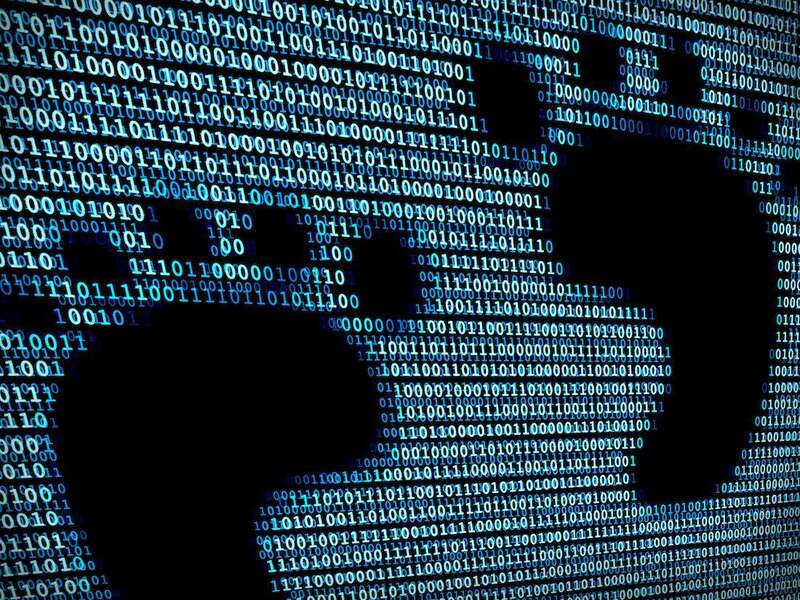 Your browser also leaves a unique fingerprint that can potentially be used to identify you. The official website of the Digital Advertising Alliance, YourAdChoices, can help you opt out of interest-based advertising for participating trackers. 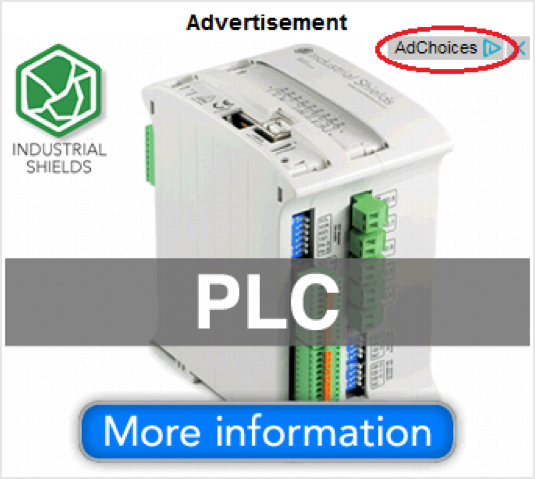 Most Google ads contain the AdChoices logo that leads to the website. Individuals from European Union can make use of the ‘official’ website/tool called YourOnlineChoices. The process is simple and takes only a few minutes. Unfortunately, the preferences are browser-specific, so you have to connect to these websites in every browser that you use. YourAdChoices website. 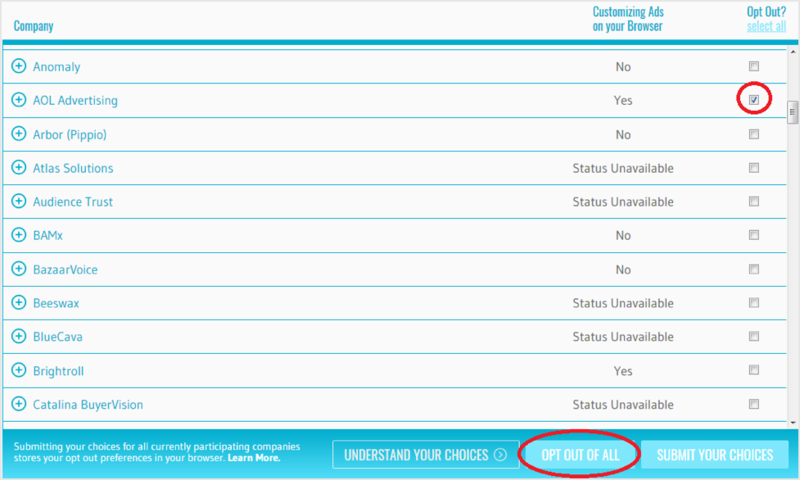 You can opt out by marking the sites with a checkmark or simply clicking the ‘Opt Out of All’ button. Most modern web-browsers support ad-blocking add-ons such as AdBlockPlus, uBlock, or Ghostery, among many others. These add-ons work by blocking ads and scripts altogether. Therefore, you avoid both seeing ads and tracking. Some modern websites opted to block readers who browse with these ad-blockers, since they decrease ad revenue even for owners of websites with non-offending ads. It is up to you to decide whether you want to temporarily disable them in this case. You might also have to disable blockers if they ‘break’ certain sites since they might inadvertently block content that is actually required for the site to display properly. Privacy add-ons are some of the most popular on the Mozilla add-on gallery. However, third-party cookies are most often used for tracking purposes. Say you visit ‘news-site.com’ and you find you received a cookie from ‘evil-tracker.com’. This is a third-party cookie, since it had not been placed by ‘news-site.com’. Browsers offer a way to disable them, and it is a nice feature than can be used instead of tip #3 in our list. However, some websites may not function properly, so make sure to revert the setting or add an exception. 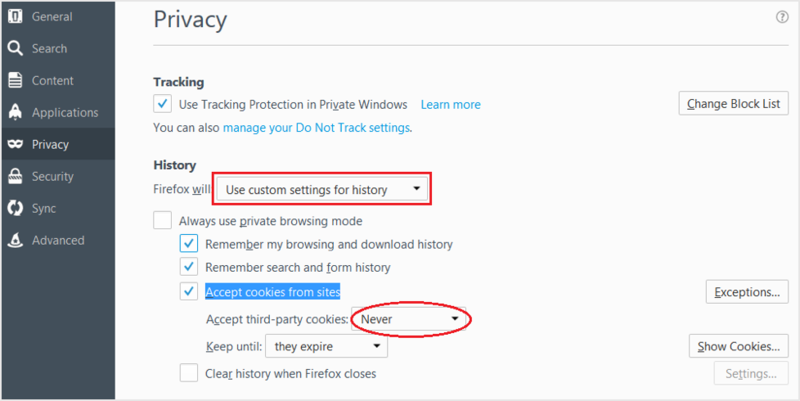 Saying ‘no’ to third-party cookies in Firefox preferences. Make sure to select the ‘Use custom settings for history’ beforehand. The setting is buried in Advanced Settings of Google Chrome. …so you don’t have to input your address, for example. However, some websites that have no business knowing your location attempt to do it anyways. Most browsers, such as Firefox, prompt you before sending the data to the website. And unless you explicitly want it, it’s best not to allow websites access your location. 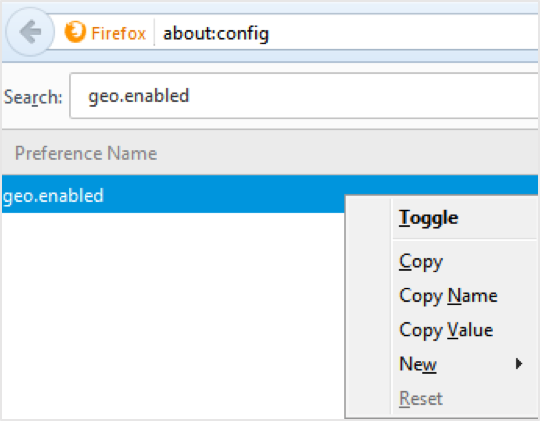 If the prompts are annoying, you can deal with them by typing ‘about:config’ into a new tab, and then setting the ‘geo.enabled’ toggle to ‘false’. 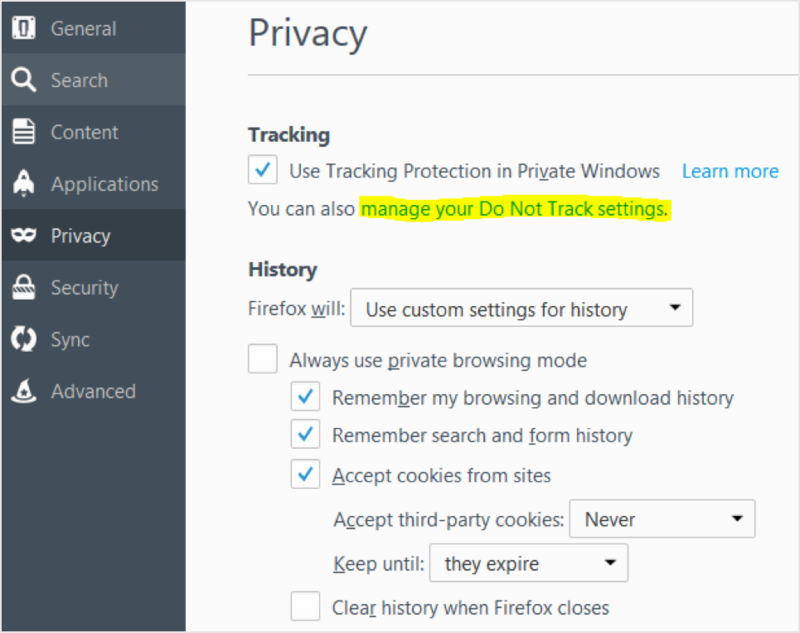 The ‘Do Not Track’ setting has been proposed by several researchers and quickly adopted by all major browser developers. 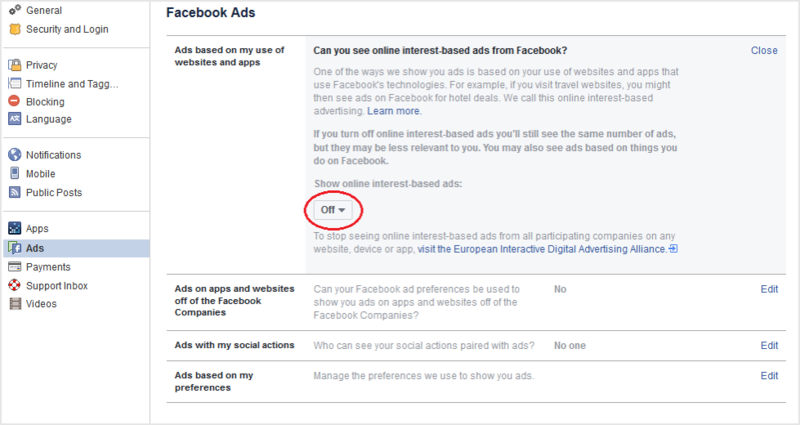 By selecting this option, your browser indicates that you wish not to be tracked – that means no click tracking and no behavioural advertising. However, the adoption has been lacklustre and there is no guarantee that your request will be honoured; in fact, it probably won’t. Still, it won’t cost you a thing or slow down your browsing, so it doesn’t hurt to turn it on. Click the highlighted link and select the checkbox in the dialogue box that pops up. Most modern search engines, including Google, use their tracking links before they redirect you to the search results you clicked on. You may have noticed that if you ever wanted to copy a search link and ended up with a huge link with a garbled mess of characters instead. This allows for analytics and, you guessed, tracking. The engines will also track and collate your whole search history, and considering some very personal queries you may have searched for, it is an extremely unpleasant fact. You can use privacy-focused search engines, such as DuckDuckGo or Disconnect, without a loss in search quality and relevance. Add-ons that rectify this situation are also available, for example the Google Redirects Fixer & Tracking Remover. Before you enter any sensitive information, like passwords and especially credit card details, you have to make sure you are on a safe website. Web browsers indicate this with a small padlock icon next to the URL in the address bar. Safe sites begin with the https:// prefix. Firefox letting you know everything’s alright. Here’s Chrome doing the same. This tells you the data you input won’t end up intercepted by malicious attackers; or, at least, they won’t be able to recover anything, since it has been sufficiently encrypted.